Hong Kong hosts more than a few international sports events: the annual dragon boat races, tennis tournaments, the rugby Sevens, golf matches – all of them grace Hong Kong. But when the action is far away, the best solution is to head to one of Hong Kong's sports bars with a bunch of buddies, order up the beers and hunker down to watch the day's (or the night's – Hong Kong is seven hours plus ahead of Greenwich Mean Time, and there's half a day's time difference with the United States) action. The best sports bars combine wide screens with extensive menus covering both food and drink and, not to be ignored, somewhere that's comfortable to sit for the duration of the event. Delaney's is a prime example. 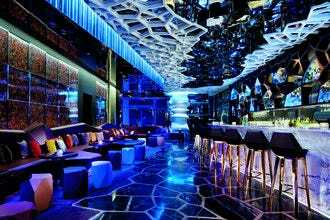 Otherwise, there's plenty of choice, whether it's in the cozy depths of The Excelsior hotel's basement at the Dickens Bar, or down in Wanchai – one of Hong Kong's most exciting nightlife zones – at The Wanch, or out on the island of Lantau, right beside the sea at the China Bear. Sports bars usually advertise major upcoming events well in advance. One thing to remember, even if you find yourself surrounded by non-English speakers, sport is an international language of its own. Delaney's has been part of the Hong Kong scene for the best part of a quarter-century, and there's a host of reasons why it's one of the city's veteran pubs. An excellent range of beer and other drinks, food that's as good as it's reasonably priced and the sort of service that makes you feel instantly at home. 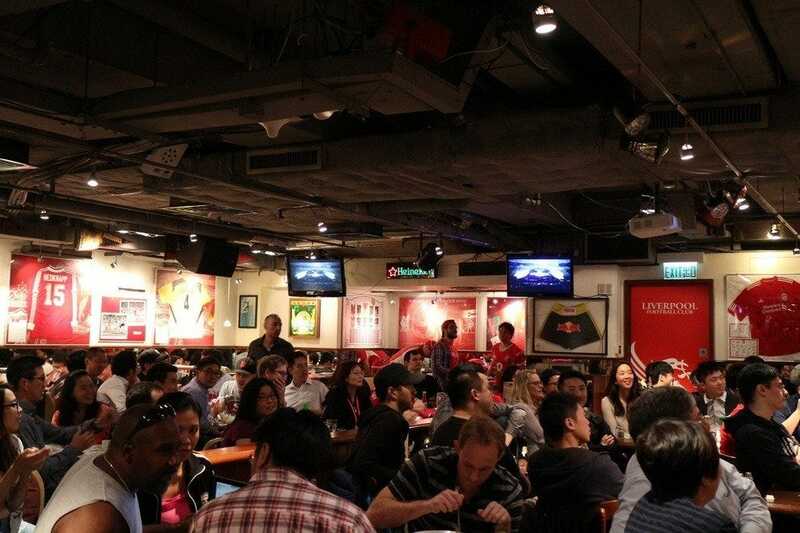 Sports fans will find plenty of action on screen, and this basement bar in the heart of Tsim Sha Tsui has enough room for everyone to settle back and enjoy themselves. Note that there's a second branch of Delaney's on Hong Kong Island at Cyberport. 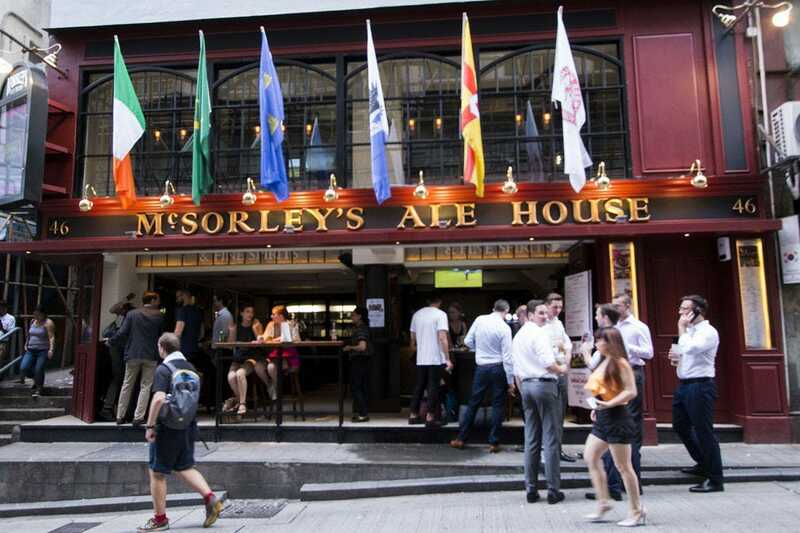 The Canny Man is one of Hong Kong's leading authentic, traditional Scottish bars. Located in the basement of the Wharney Guang Dong Hotel, The Canny Man serves traditional Scottish fare, including Haggis, Neeps and Tatties, Steak and Ale Pie, Mince and Tatties, Lamb Stovies and Traditional Scotch Pie. The Canny Man also maintains a collection of more than 100 single malts and 28 artisan beers. 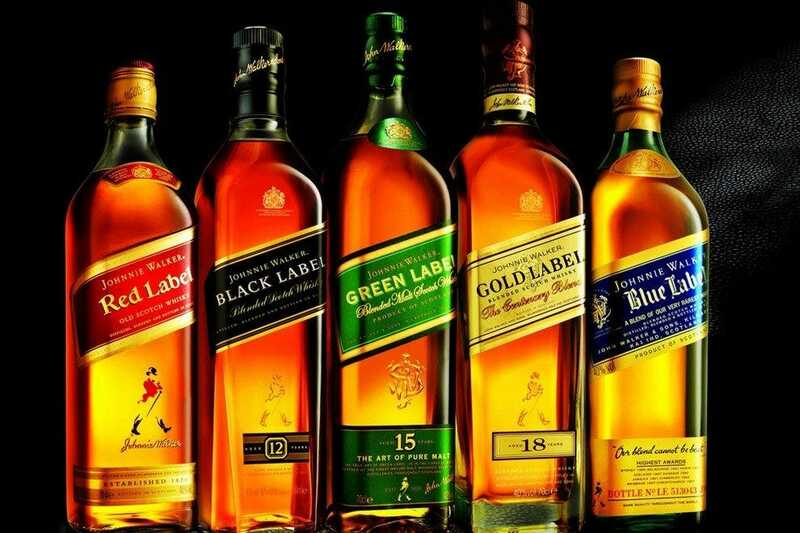 While the staff are predominantly Asia, they've taken on board Scottish conviviality and hospitality, and are very knowledgeable about the wide range of whisky and beer. Quite a few visiting sports fans book into the Wharney so they'll be on top of the action. Nestled in the heart of Happy Valley, The Jockey is a quaint neighborhood pub where one can watch the world go by. Facing the Southern end of the Happy Valley Race Track with both indoor and alfresco seating, The Jockey serves the local residents as a convenient meeting place for drinks, food, conversation and watching major sporting events live on the big and small screens around the pub. The Jockey is a very personable watering hole where sports teams gather after practice, friends catch up after a hard day's work and everyone feels at home, including the dogs, who even get their own bowl of water! Champs Bar at The Charterhouse Causeway Bay Hotel is one of the hippest sports bars and restaurants in town, conveniently located at the edge of Causeway Bay on Hong Kong Island. 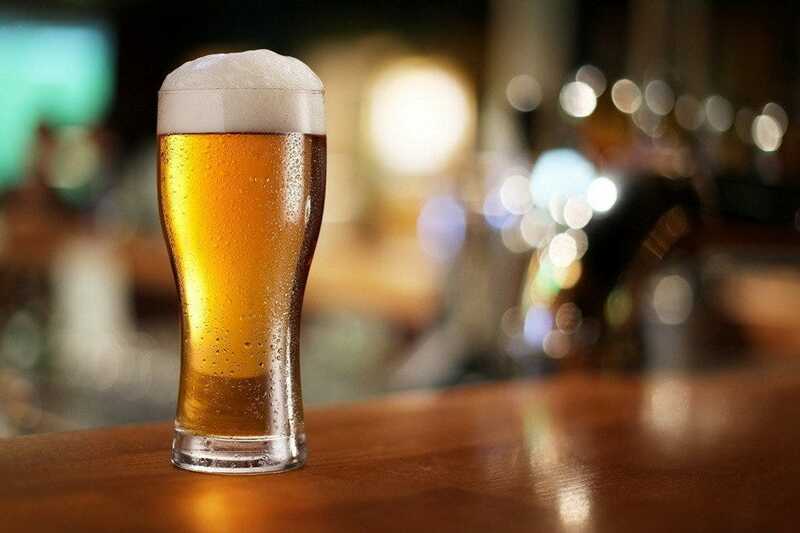 Patrons can enjoy a thriving selection of beers and drinks with football fans of leading English Premiership football clubs, such as Anfield's 12th Liverpool Supporters Club. Other major sports such as rugby, formula one racing, tennis, golf and ice hockey are broadcast live from on big screens or plasma TVs. On the menu are some chef's favorites such as spare ribs, buffalo wings, beef burger, and fish and chips. From Adnams Broadside to Wychwood Brewery Hobgoblin via Fuller's London Porter and Thwaites Liberation Premium Ale, Trafalgar runs the gamut of Brit beers. 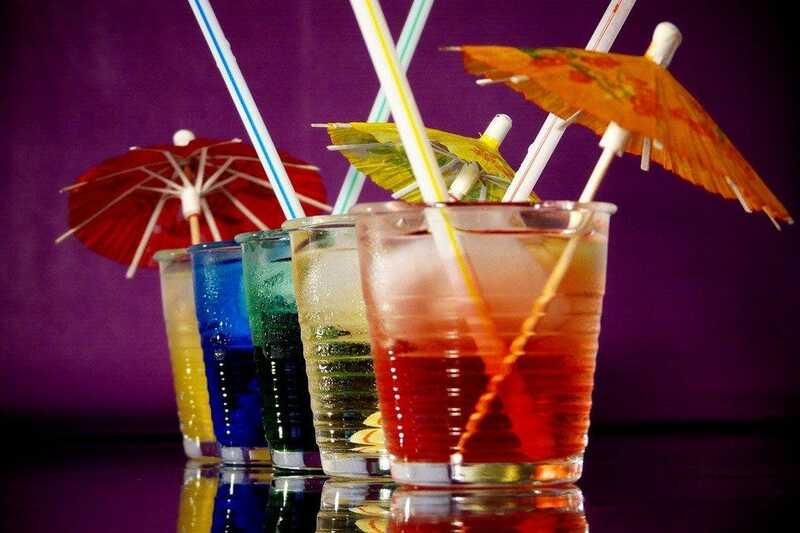 And quite a lot of other traditional drinks including single malt whiskey and cider as well. 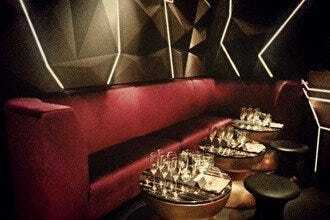 Pukka pub that it is, there are one or two cosmopolitan quirks, such as the shisha pipes and the karaoke room. And as it's on the fifth floor there's an outdoor balcony rather than a garden, which is popular with smokers. Naturally, Trafalgar attracts the sort of customer that might be expected, but the atmosphere is friendly and welcoming wherever you hail from. Inspired by the McSorley's Ale House in New York City, but with a much better variety of beer. It's a traditional Irish Victorian style pub, with lots of wood, and on fine weather days the doors and windows open onto the street. If you want a tad more privacy head to one of the cozy booths. As for food and beverage, McSorley's has an incredible selection of beer (lots of imports, Guinness and McSorley's on tap) and whiskey, and serves hearty pub grub like fish and chips, burgers and a variety of pies. Several TVs are tuned to major sporting events, and there's live acoustic music during the week. 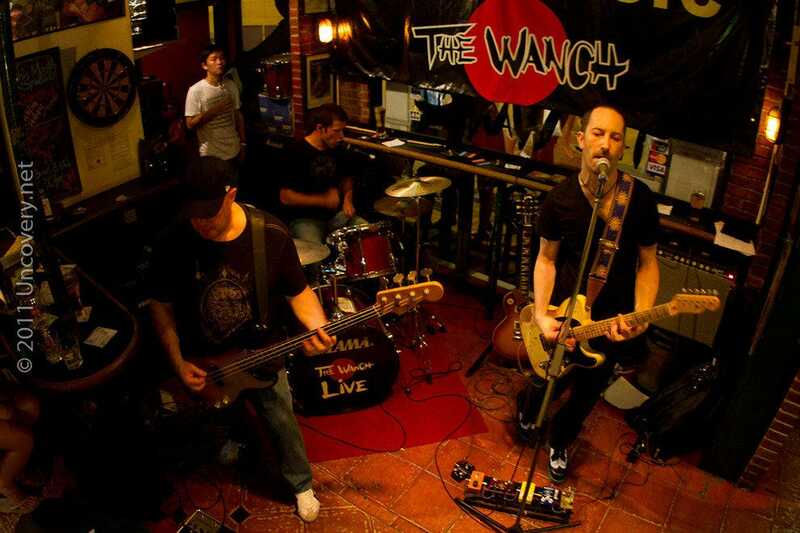 Having been feeding the locals with mind-bending gigs for more than 25 years, The Wanch (rhymes with conch) is an institution of live music sports events coverage. 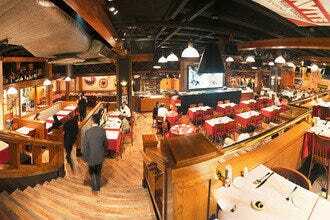 This is said to be the longest running livehouse in Hong Kong. When the TVs aren't covering some major sports event local bands and international acts pump out various music genres from rock to jazz to blues. The bar offers nibbles including garlic bread and bacon butties. No cover charge any day of the week. At weekends the crowd usually spills out onto the sidewalk so expect maximum decibels, especially when matches reach a crucial point. The China Bear's the best pub on Lantau. There again, it's almost the only pub on Lantau outside the expat enclave of Discovery Bay. 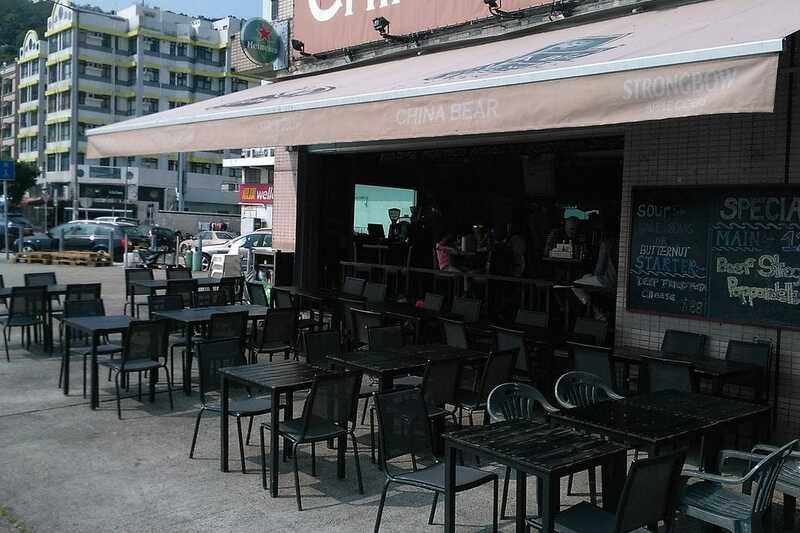 Such quibbling is beside the point, for the Bear (right next to the ferry pier with a view that stretches all the way to Hong Kong Island) is an institution. This is very much a locals' hangout, with darts, quiz nights, plenty of brews on tap and a fair bit of banter going back and forth. Sit outside (assuming the weather is cooperating) and soak up the island atmosphere. And like most bars and pubs nowadays, the Bear does food too. As the name implies, this American style sports bar and bistro combines indoor seating with a large al fresco area overlooking the grassy football field and golf driving range in the South China Athletics Association in Causeway Bay. This is an ideal place to unwind with a large group, someone special, or even on your own. 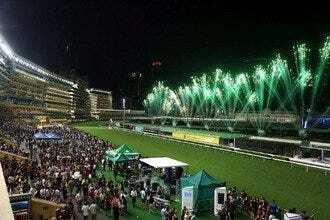 With its buzzing crowd and atmosphere you won't be alone for long. Specializing in a wide selection of imported bottled beers with San Miguel, Stella Artois, Hoegaarden and Tsing Tao on tap, there's something for everyone. If you don't feel like a snack just munch on the free peanuts and toss the shells on the floor! A truly unique list of beers and microbrews coupled with live sports on giant screens and some of the best ribs in town ensure spending time here is an unforgettable experience.